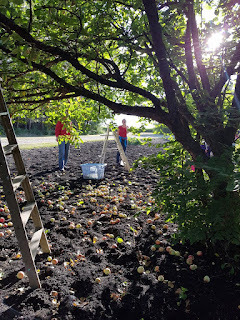 Fruit Share had the pleasure of hosting an apple and crabapple pick last week. 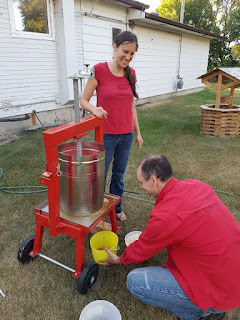 We picked the trees bare and then pressed the fruit into cider right away! We reached as high as we could with the ladder but it wasn't quite tall enough, so one of the volunteers happily climbed up and shook the branches for us! 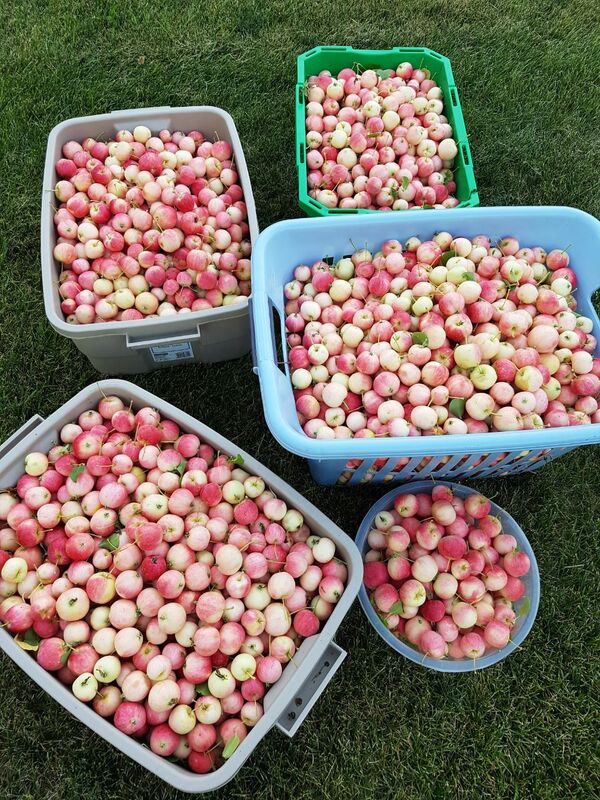 We rescued 380 lbs of fruit! The fruit was very sweet which pressed into the most delicious cider! We couldn't stop sampling it! We had a lovely evening with all the volunteers who came out! 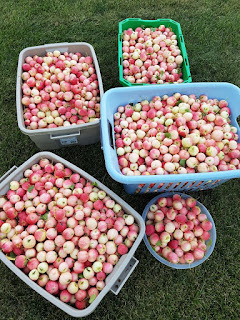 Enjoy your cider! 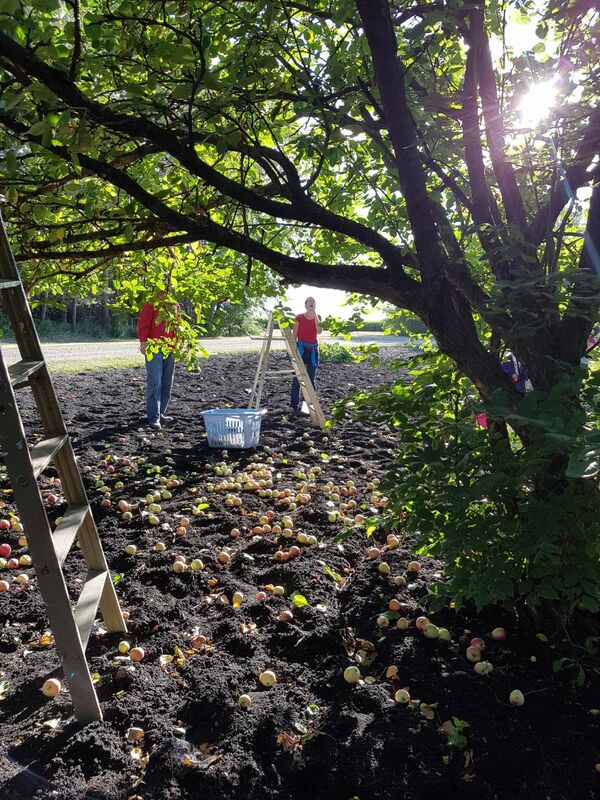 Big thanks to Jim and Rebecca for allowing us to pick and press your fruit! !